First African American female professional to hold the position of Field Director for the Girl Scout Council (1945). 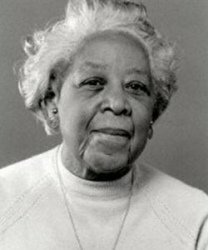 First African American and first woman to become the Executive Director of the Cincinnati, Ohio Human Relations Commission (1968 - 1973). First African American Deputy Director of the Mayor\'s Friendly Relations Committee which was the predecessor to the Commission. (1948).